You can't look at the LEGO Minifigures Series 2 Disco Dude figure and not think "Disco Stu" from The Simpsons. 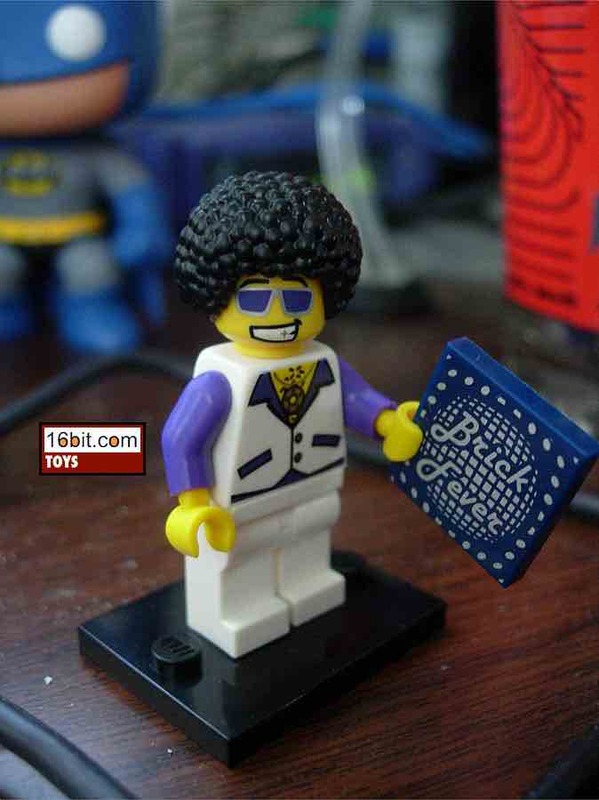 Disco Stu likes disco music, and Disco Stu doesn't advertise-- given his name is not on his shirt and he does include a disco record, this could well be him. LEGO figures generally don't have medallions or chest hair, or the "your place or mine?" smile, but here we are in 2010 and the "Disco Dude" clearly wants to get it on. Why buy this figure? He's got a damned afro. So you can put an afro on pretty much any standard figure. 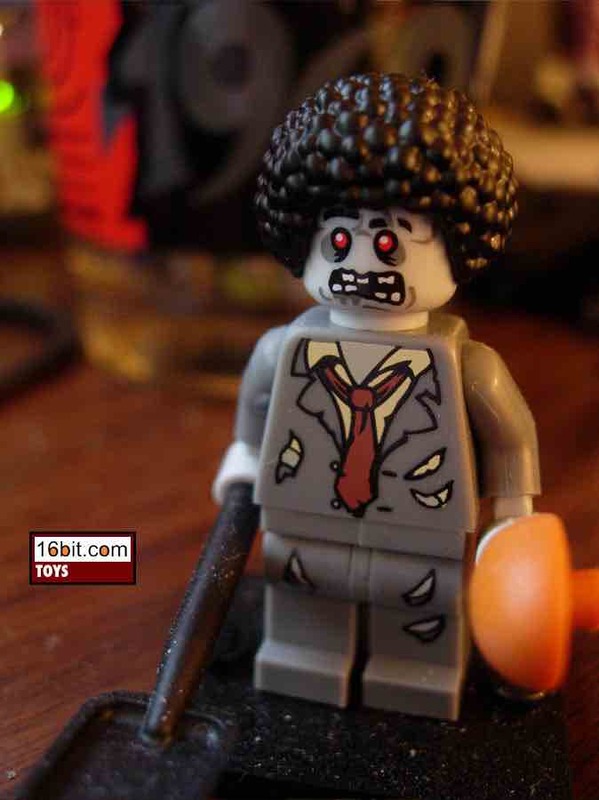 Afro zombie? Done. It's a crying shame LEGO just won't let you pick and choose these easily, the "collectible".shtmlect of blind-packing these is more irritating than endearing given how short the run seems to be. If you can get one, do so.